Today and tomorrow only, Trust Me, the first book in my Vampire Hearts series is FREE at Amazon! Go get it, and tell your friends! Dhamphir Harry Bisson has been hunting the female vampire who turned his father for over a century. 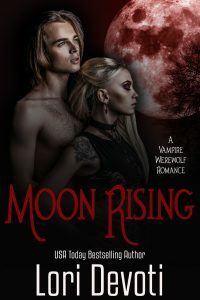 The vampire, who has been building her power by feeding off her own family, thinks her bloodline has run out, but Harry has found one last relative–Lindsey Dennis: beautiful, trusting and the perfect bait. With no knowledge of vampires, Lindsey thinks Harry is her savior and the key to finding the family she has always dreamed of having. Will Harry save her? Or will his thirst for revenge cause him to sacrifice the only woman he could ever love? Don’t have a Kindle or Kindle app? Amazon has a free cloud server. You can get the book and read it from there, or save it in case you get a device later. I became a fast fan the moment I read my first book of yours. I think that you are truely talented. Not that I am anywhere near your caliber but I have written a few novels of my own and am trying to find the courage to self punlish. As I battle my inner insecurities, I wanted to tell you that I find you very inspirational. Thank you from a fellow Wisconsinite. Amanda! What a nice comment to wake up to this morning. :) Thank you.